100s of channels in many languages. Full channel listing. 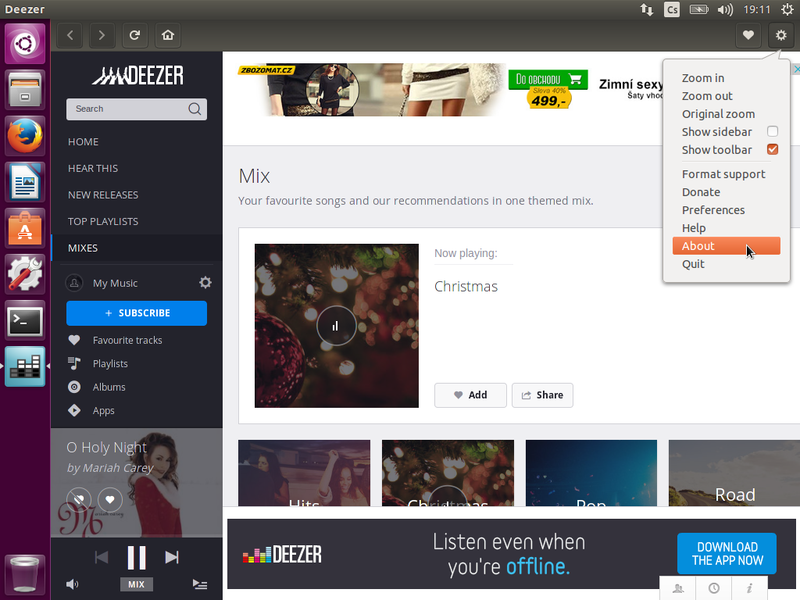 If you are fond of listening to online radio you can make use of SMPlayer. Fire up SMPlayer and navigate to Open ▸ URL… and paste the URL of the stream. If the URL doesn’t work you may need to provide the actual IP address and Port number. If you don’t know those search in the Xat radio search page towards the end of the page with Keywords. A place to search for radio stations is SHOUTcast. I like to listen to online radio stations playing random music. If one doesn’t suit you just switch to another playing a better tune. However it is difficult to find out the choices. So here’s a site which plays many of your local radio stations online and you have the freedom to choose any of the available options. By default it detects your location automatically and picks up a channel. Use the search option tune in your pick! Listen to over 100,000 real radio stations and more than four million podcasts streaming from every continent. Explore and follow the best in sports, news, music and talk to create your personalized feed. The free version show some visual ads. Audio ads are added between tracks in playlist. P.S. : Spotify service is not available in all countries. 1. Grooveshark (now off the grid): This is already a well-known service. It has paid mobile service as well though the Android app seemed to be heavy to me. I love the surveys option to gain points. Once you have enough you can enjoy a free month’s service. The collection is huge and you can have your own customized playlists. The featured new releases section is also good for having a taste of the latest music. 2. Aupeo: Hosted in Berlin, the single thing absolutely I love about this site is its international music section. It has a plethora of world music collection, from J-Pop to Italian to Spanish. It has a free Android app service which was again, a bit bulky and buggy the last time I checked. Here’s another website primarily for Indian songs, started 18 months back and having apps for many platforms – Gaana.